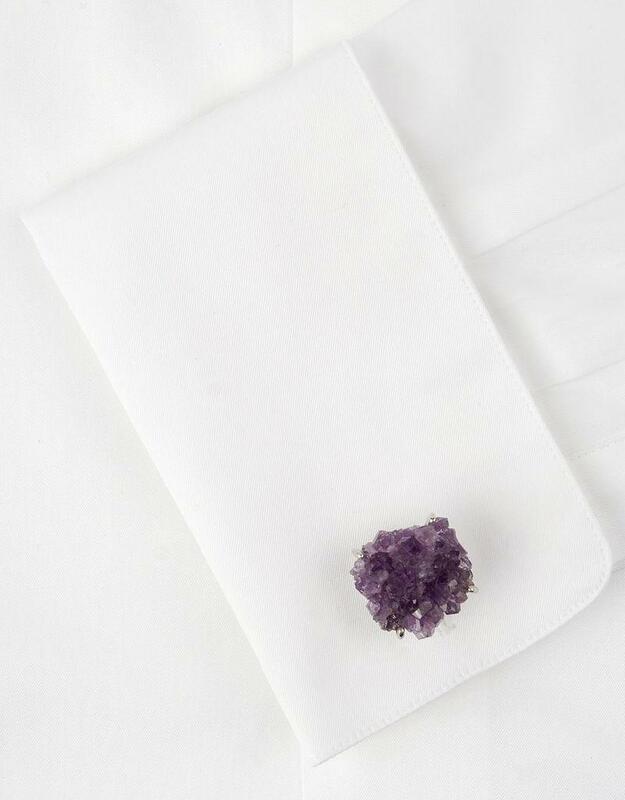 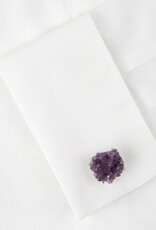 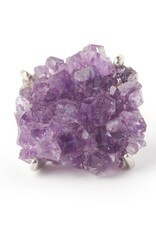 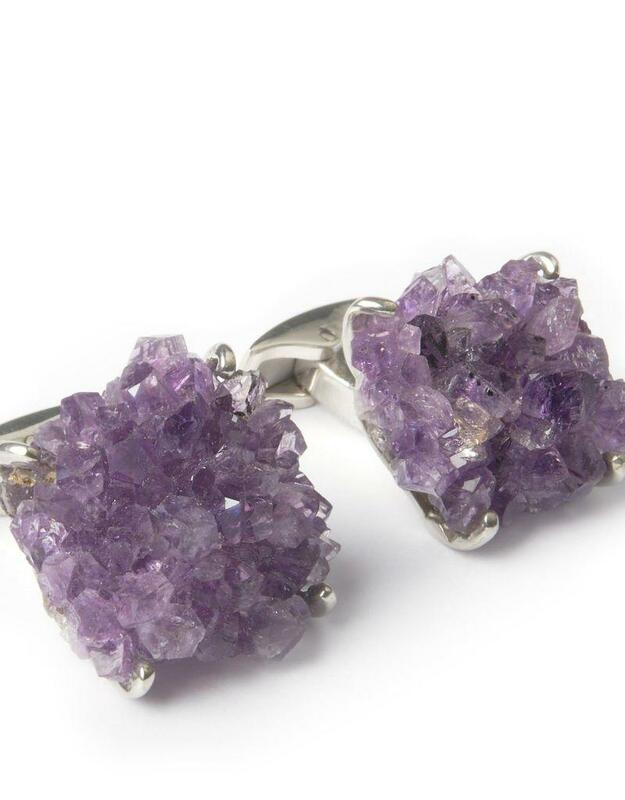 Amethyst cluster cufflinks set in sterling silver. 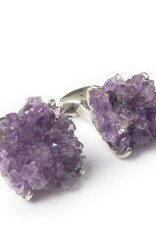 Well loved and associated with multiple meanings and powers this semi precious stone is also quite beautiful. 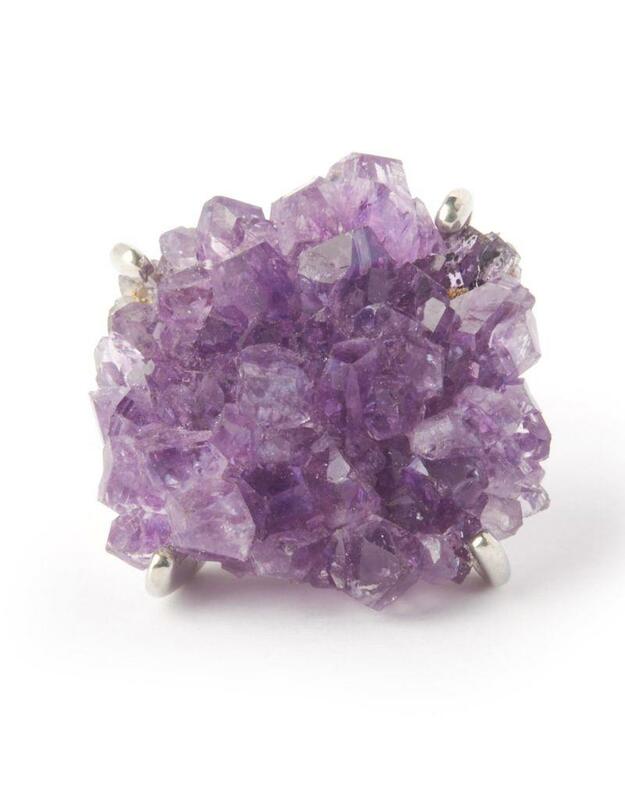 A very unusual setting highlights the natural shape and color variation.